The ISO9001 is an international recognised Quality Management System, it is the world’s leading Quality Management Standard has been implemented by over 1 million organisations in over 170 countries globally. The ISO9001 standard was created to help organisations ensure they met the needs of their customers and other stakeholders while meeting statutory & regulatory requirements related to their products or services provided. SMSC can provide and implement a bespoke Quality Management System, specifically designed for your company’s needs. SMSC will guide you through the whole process from start to finish to ensure successful ISO9001 certification. SMSC will liaise with your chosen Certification Body on all aspects of the system. SMSC can also provide an after care services after successful certification. ISO9001 2008 will no longer be valid after September 2018. Business currently register to ISO9001 2008 have until September 2018 to make the transition. SMSC recommends that you transition at your next re-certification audit. 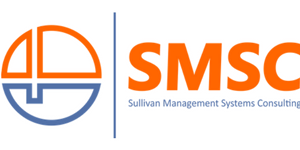 SMSC can provided a service to help you transition to the new 2015 standard.